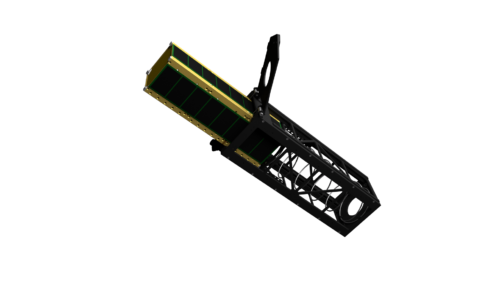 The GAUSS CubeSat Deployer “GPOD” was developed by GAUSS to provide a flexible deploying option for the most famous type of small satellites – the CubeSat. The system is designed to be installed onboard a rocket or a satellite; it is the preferred deploying mechanism for launching satellites in a GAUSS UniSat mission. The TLM System relies on redundant deployment status switches. The GPOD flew successfully on UniSat-5 and UniSat-6 in two different Dnepr LV missions. (*) Extra 36 [mm] envelope on Z-Axis for structure protrusions is available according to the 3U+ standard. (**) With nominal Payload Mass.